CentrikBlogsLegal AdvisoryAuthentic Legal AdviceWhat is One Person Company? How to incorporate it Legally? 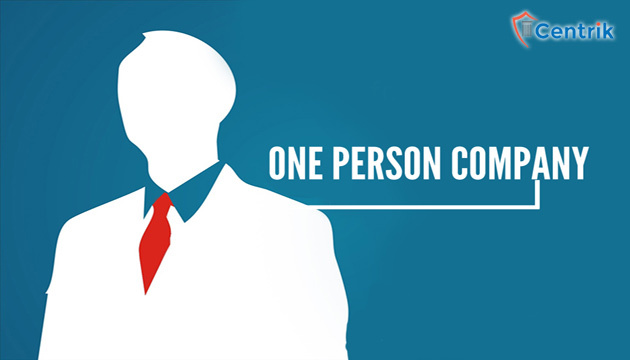 One Person Company (OPC) as the name conveys has only 1 member as per section 2(62) is one of the most effective structures for companies. It was introduced by the Companies Act, 2013. It is disregard as a proprietorship but it cures most of its issues in business as a sole proprietorship, for example, boundless risk and to adjust the broad procedural prerequisites of joining. This is done to magnetize the entrepreneur into the business ventures. The Ministry of Corporate Affairs (MCA) vide its G.S.R. Notification No. 250(E) dated 31st March 2014 which notified the Companies (Incorporation) Rules, 2014 under the Companies Act, 2013, provide formation of One Person Company. In the succeeding article, we will be group thinking about an OPC and how you can incorporate it legally. Q. What is the eligibility criteria for owning an OPC? Individual must be a “natural person” who is a resident of India who has stayed in India for a period of not less than 182 days during the immediately preceding one calendar year. There is rudiment of a paid-up capital of Rs. 50 lakh and average annual turnover of Rs. 2 crores in 3 immediate preceding financial years beyond which the status of OPC is lost. Rules of OPC do not permit Non-Banking Financial Institutions. Q. What is the process involved in incorporation of OPC? Legal Identity: An OPC is a separate legal identity altogether. The company and the shareholders are two different entities for all purposes. Limited Liability: In case of OPC, the liability of the member is limited to the value of shares held by the person in the company. Sole decision maker: The individual remains the sole decision maker as a personal commitment. Capital requirements: Capital requirement is minimal as there is sole person involved. Compliance: Since an OPC has a single member, appliances of voting, proxies, meetings do not apply. Also, the financial statements of a one-person company can be signed by one director alone.